New Britain Teams "London Calling" and "Got Carter!" face off in round 1. 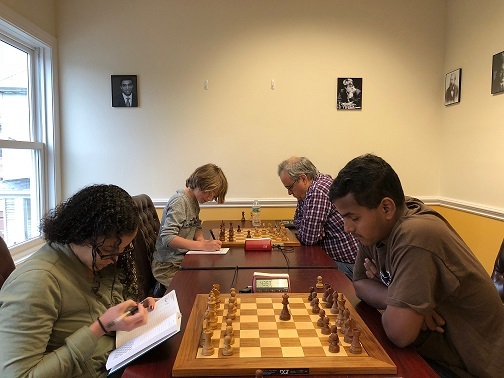 Fifty six players making up a record fourteen teams participated in this our annual Spring Team Championships. 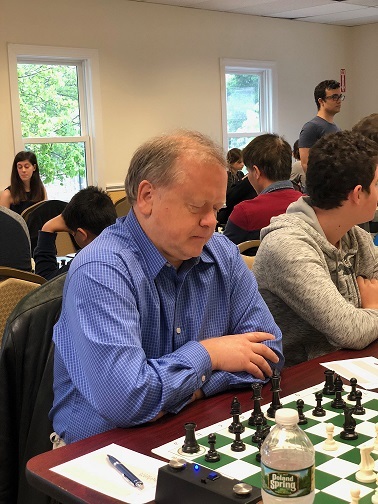 With the event sold out, prizes were increased to $400 for 1st place (up from $300), $300 for second place (from $200), and we added a top U1600 team prize of $120. The team average ratings ranged from 1100-1800 and while most of the teams managed to get impressively high, not one team was to be underestimated. 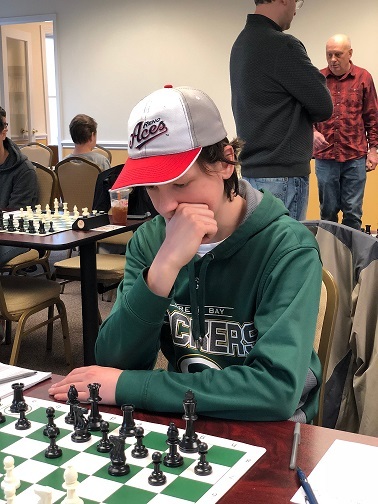 Indeed, as early as round 1 both top seeds drew their matches while the third ranked team “R2D2” (Avg: 1786) was defeated by “Simsbury High School” (1556) by a score of 3.5-0.5! "Ponies of Death" (R) on their way to winning 4/4! The first round results opened the door for many teams to seek the gold, however, only “Ponies of Death” were able to maintain their early momentum. 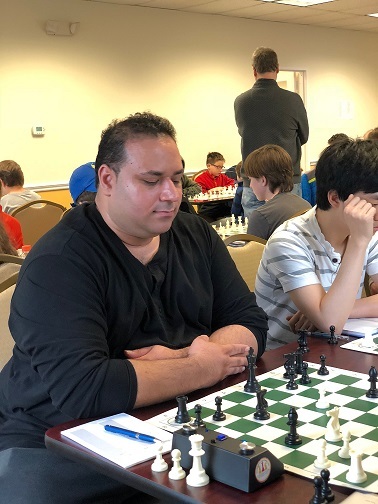 Led by National Master Furqan Tanwir, the “Ponies of Death” won all of their matches to clinch sole first by a full point! They also scored an impressive 12/16 game points, winning every match 3-1. The other players on the team were Derek Chen, Liam Kaufman and Noah Aylesworth. Team “No Draws Accepted” was the only team to finish with three points, earning them sole third place. 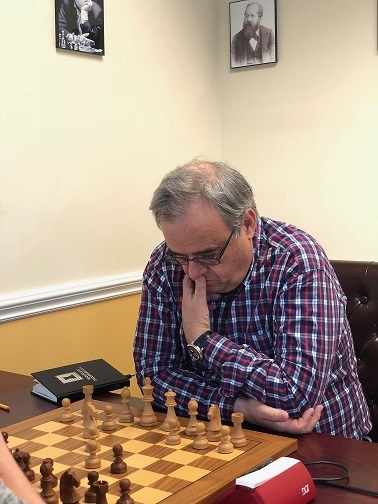 No Draws Accepted was a uniquely balanced team with Jeff Lawrence taking up board one, followed by Eugene Ulyanov, CCFC Owner Melvin Patrick, and Leo Bykhovsky on board 4. NM Furqan Tanwir led his team "Ponies of Death" to victory. 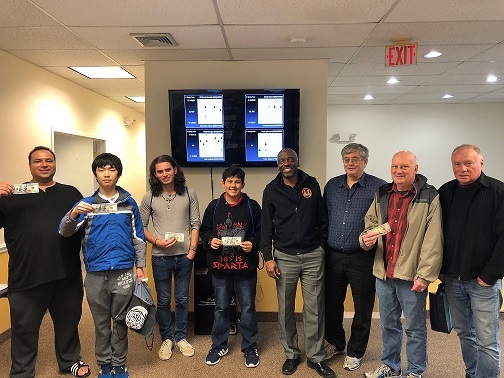 Simsbury High School followed up their round one win with a draw against the top seeded “London Calling” and although they were unable to win any more games, their valiant effort was enough to win the top U1600 prize. The deserving winners were Gert Hilhorst, Sharvil Trifale, Nicholas Ratajcz, and Sean Henderson. Hanon Russell played board one for "London Calling"
Larent LaFosse anchored "London Calling" board 4. In addition to the many great team results, there were also many fantastic individual performances. 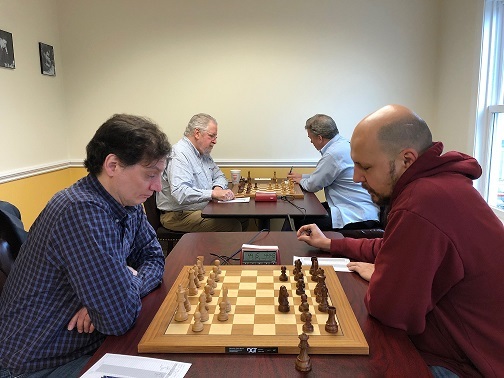 Leo Bykhovsky and NM Ryan Young won all four of their games! 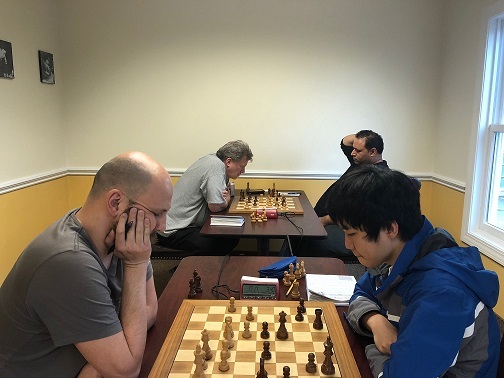 NM Furqan Tanwir, NM Igor Yeliseyev and Liam Kaufman scored impressive 3.5/4 points each. However, the most impressive performance was undoubtedly put in by Evan Helman (1745). Helman bravely led his team on board one and scored a draw and a win against two masters! 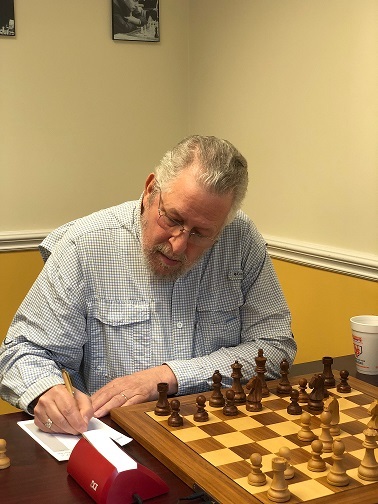 Another 1.5/2 points gave him a final score of 3.0/4 and netted him over 100 rating points. NM Igor Yeliseyev scored an impressive 3.5/4 on board one for his team "Kvetchers". 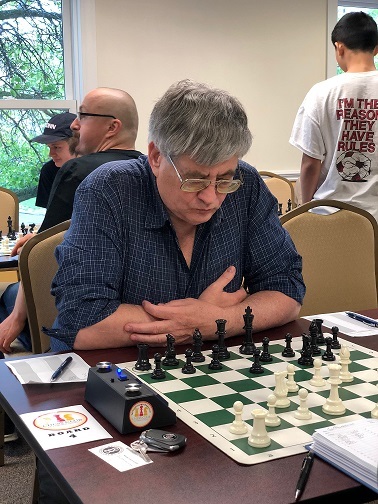 Leo Bykhovsky was unstoppable on board four for "No Draws Accepted", scoring a perfect 4/4! 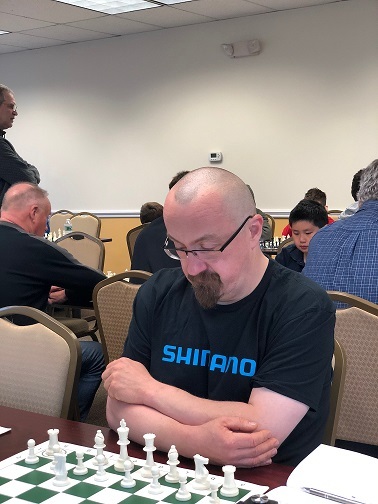 Expert Slawomir Naumowicz represented board one on "Protected Passed Pawns"
Alexander Mayo played board 4 for "Protected Passed Pawns" and scored an impressive 3/4! Congratulations to all of our deserving winners. We are already looking forward to another exciting team tournament in the fall! The winners! "Ponies of Death" (L) finished in clear first and "No Draws Accepted" (R) took clear second.